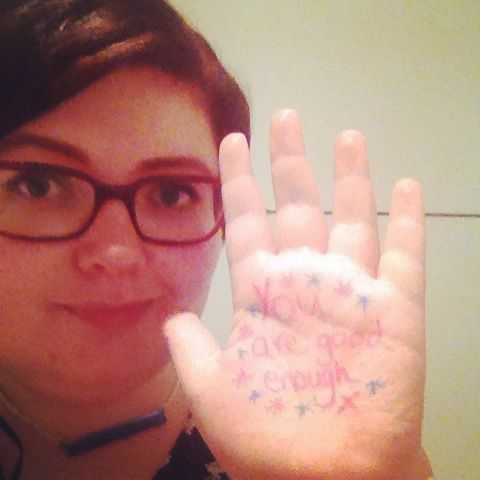 It is a sad state of affairs when the term "You Are Good Enough" is a positive mantra. But it is. And it's a good one. Our faces are different, our style is different, our lives are different, but we are all good enough. Part of this idea was to identify a part of you that you love. I would have to say my face. It shows my feelings openly, it holds our eyes and so allows us to see beauty. It holds our mouth, so we can say beautiful things. And it holds our ears, which allows use to listen to the world around us. The ink on my hand didn't wash off easily, so I ended up going to Brownies with this on my hand, and I had to explain why. 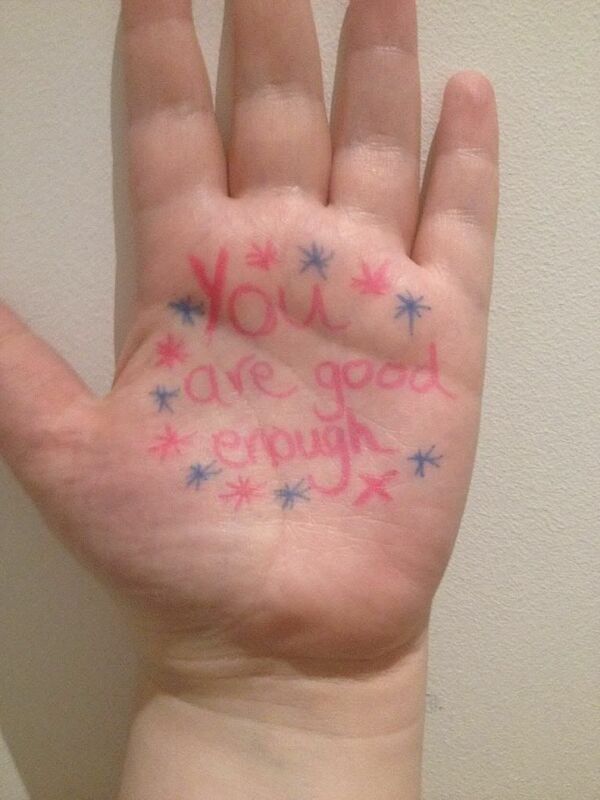 And I realised that I wanted this on my hand every meeting, to remind them all that we're more than good enough. I still have an aspect in my life where I have to repeat this to myself constantly. It makes me sad that we even have to say these things to ourselves but each time it is said, you believe it a little more. Great Message. Thank you! That is something those Brownies need before they are corrupted!